Haidee-Jo Summers enjoys a successful career as a full-time professional artist and is known for painting landscapes and seascapes en plein air. Her work can often be seen at the Mall Galleries, London where she exhibits with the RSMA, NEAC and the ROI with whom she has won several awards. Haidee-Jo was elected a member of the Royal Institute of Oil painters earlier this year. Haidee-Jo writes regularly for The Artist magazine and her first book about oil painting Vibrant Oils has recently been published by Search Press. Previously she produced a large body of work for the Encyclopaedia of Watercolour Techniques. Her DVD Vibrant Oils was released in June 2016 with APV films. In recent years she has been invited to take part in many plein air events in the UK and overseas, winning many prizes. Her work is highly sought after and features fresh and vibrant brushwork coupled with keen drawing and observational skills, resulting in paintings that glow with light and sing with colour. She is extremely popular as an enthusiastic and inspirational painting instructor and her courses and workshops fill up quickly. Haidee-Jo was awarded The Artist purchase prize, a prestigious award selected by Ken Howard OBE RA. 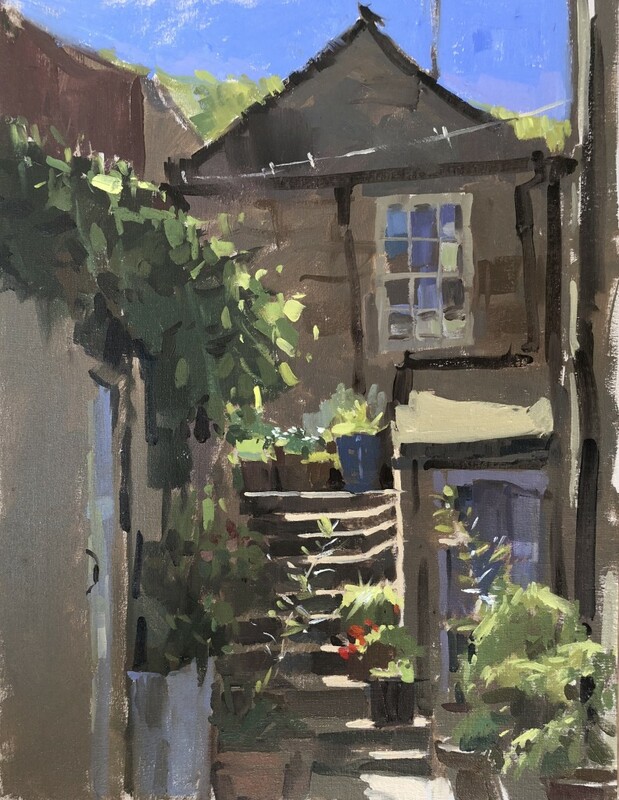 In 2014 she won the £5000 Buxton Spa prize for her plein air painting Walking through Buttercups, and the first prize of £1000 for her painting Work to Be Done, Elm Hill at Paint Out! Norwich. In 2015 and 2016 she won the Great Art award and in 2016 was invited to judge Pintar Rapido, London’s plein air painting competition. Owing to the growing demand for places on Haidee’s courses at Staithes Art School, Haidee-Jo has kindly agreed to tutor two courses for us in 2019. Even so, there is likely to be a high demand for places so we recommend booking as early as possible.